The first Bradworthy doctor was Eusebius Rouse and he was succeeded by his nephew Ezekial Rouse. 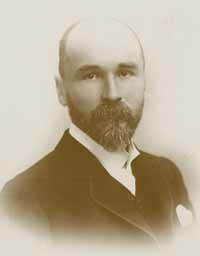 Dr. Edmund Emtage followed at Cleverdon House and on his premature death in 1908 Dr. Leonard Bowring Betts came. He was followed by his son, Dr. Norman Betts, and now a third generation, Dr. John Bowring Betts, is in the practice. For over a century the surgery was at Cleverdon House. The Betts family acquired the former Walters shop in the village, and this was opened as the new surgery in 1983. Dr. John Betts eventually took on a partner, Dr. David Waind, who on moving to another practice in 1992 has been succeeded by Dr. Kandasamy.